There are some extreme places to live, as anyone who lives in South London can testify too. Norway is one of them; with its trippy policy to ban night time with a period when the sun isn’t allowed to set, as well as celebrating the existence of trolls in a big way, it’s no wonder it can bring out the cuckoo in certain folk. Another way it presents itself, especially amongst the younger generation, is their fondness for metal, of the musical variety. 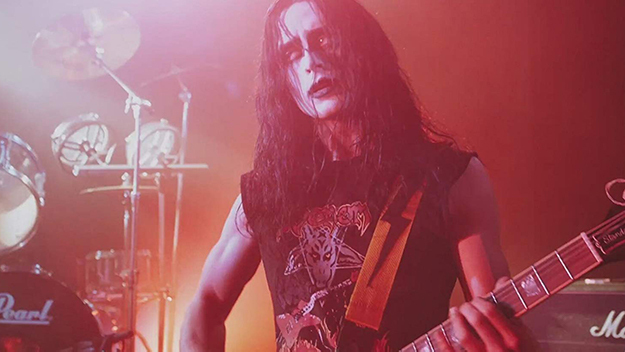 Swedish music director Jonas Åkerlund, who, to his eternal shame, has made videos for both Coldplay and Taylor Swift, attempts to redeem himself with this full length feature, a vague biopic of Norwegian black metal band Mayhem. Noooooo!!! Who turned the toaster up to five???! After a few false starts, guitarist and driving force behind the band Mayhem Euronymous (Rory Culkin) is feeling his current line-up. He’s certainly pleased to have a singer at last, and ‘Dead’ (Jack Kilmer) certainly has the kind of cool charisma needed for metal, on stage at least. Off stage the weird, crazy persona continues, but that’s front men for you. And still Euronymous wants more. So, with his parents’ cash, he not only opens a record shop catering specifically for metal-heads, but also starts his own label. It’s clear that he sees the bigger picture, and is willing to play the game to get there. Others around him though, have utmost reverence for him and often take him at his word - literally. 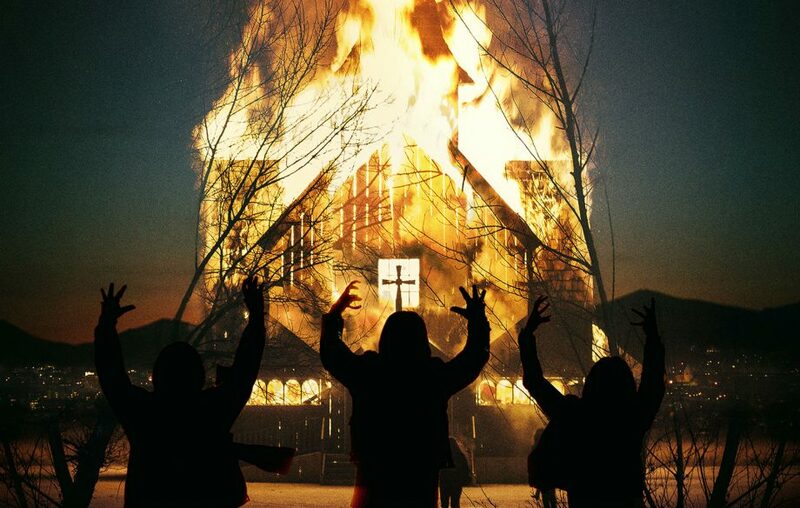 The dynamic changes somewhat, when he allows a enthusiastic groupie, Kristian (Emory Cohen) – who swiftly changes his name to the darker ‘Varg’ - to enter their ‘black circle’. He quickly finds his confidence, which manifests itself in a disturbing fashion, to the extent that Euronymous soon feels his grip in charge slowly slip away. And with Varg’s sudden rise in popularity, these black metal fans who follow him, are prepared to do anything for the black metal cause. The more I think about it, the more I Just want to be in an Abba tribute band. Mayhem may not necessarily be a band you’ve heard of, unless you can’t live without a bit of Norwegian black metal in your life, but their story is both bleak and compelling. Åkerlund, to his credit, doesn’t sugar coat it either; in places it gets fairly graphic, with some rather unsettling scenes. The young cast give a good account of themselves, particularly Culkin, but it does feel a little odd that a number of the main leads are Americans playing Norwegians; but then you could say the same thing about a film, set in Norway, about a Norwegian band, presented in English throughout. It’s probably these Norwegian accents, delivered in English, that lend the film a certain unintentional This is Spinal Tap flavour, without ever going all the way to eleven. A few original band members have allegedly spoken ill of the film, but that’s so black metal of them. Åkerlund’s first stab at directing is a competent one, shining light on a very dark tale. And although wearing black leather isn’t compulsory whilst viewing, it would somehow add to the experience.